Martyr, Earl of Arundel; born at Arundel House, London, 28 June 1557, died in the Tower of London, 19 October, 1595. 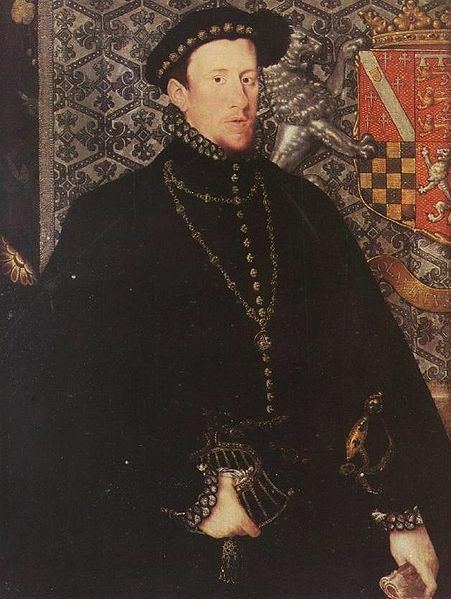 He was the grandson of Henry, Earl of Surrey, the poet, executed by Henry VIII in 1547, and son of Thomas, Duke of Norfolk executed by Elizabeth 1572. 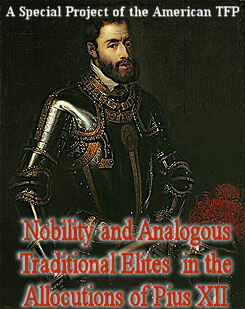 Philip II of Spain, then King of England, was one of his godfathers. His father, who had conformed to the State religion, educated him partly under John Foxe, the Protestant martyrologist and he was afterwards sent to Cambridge. His father having married as his third wife Elizabeth, widow of Lord Dacre of Gillesland, matched her three daughters who were heiresses, to his three sons. 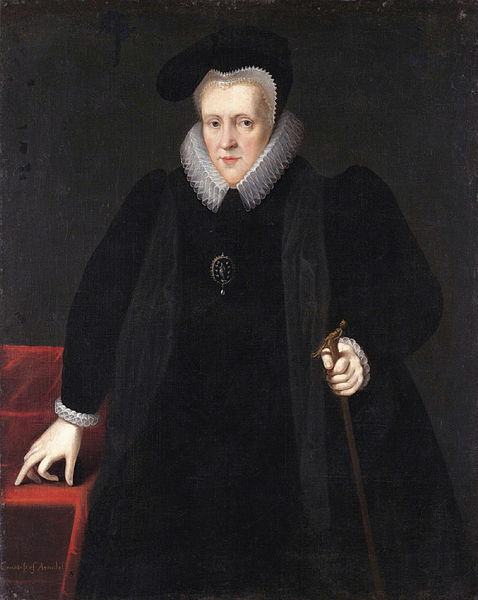 Anne, Philip’s wife, Countess of Arundel and Surrey, who survived to 1630, was a woman of remarkable generosity and courage, and became after her conversion the patroness of Father Southwell and of many priests, and eventually founded the novitiate of the Jesuits at Ghent. 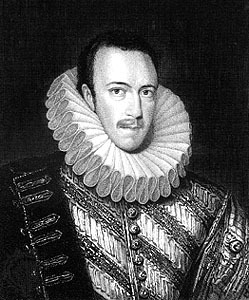 Philip succeeded, 24 February, 1580, jure matris, to the Earldom of Arundel, and this may be considered the highest point of his worldly fortunes. 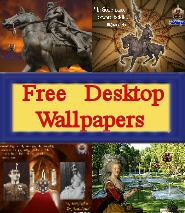 He frequented the Court, entertained the queen, and was restored in blood, 1581, though not to his father’s dukedom. 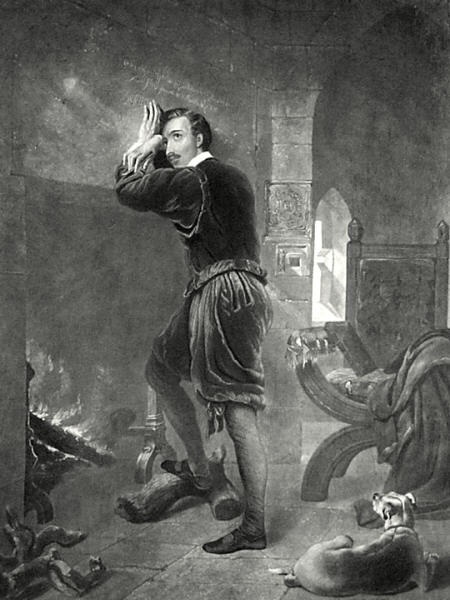 Towards the close of the year he was present at the disputations of Saint Edmund Campion in the Tower and this proved the first step in his conversion, though, like most of Elizabeth’s courtiers, his life was then the reverse of virtuous, and for a time he deserted his wife. But the Howards had many enemies and Elizabeth was of their number. 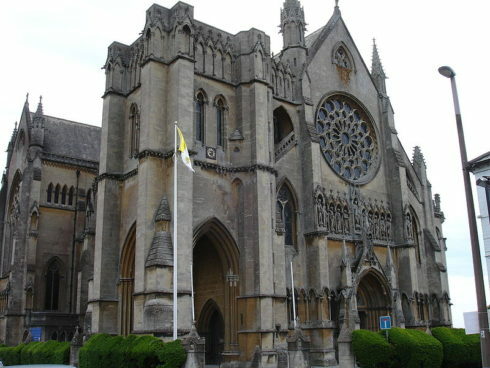 As the Catholic revival gained strength, the earl found himself suspected and out of favor, and his difficulties were increased by his wife’s conversion. He was now reconciled, indeed devoted, to her, and 30 September, 1584, was received into the Church by Father William Weston, S.J., and became a fervent Catholic. The change of life was soon noticed at Court, on which Philip, seeing Elizabeth more and more averse and dangers thickening, resolved to fly, which he did (14 April, 1585), after composing a long and excellent letter of explanation to Elizabeth. But he was captured at sea, probably through treachery, and confined in the Tower of London (25 April) where he remained till death. He was at first sentenced to a fine of 10,000 pounds, and imprisonment at Elizabeth’s pleasure. Later on (14 March-14 April 1589), during the bloodthirsty mood which caused the death of so many English martyrs after the Armada, he was tried for having favored the excommunication of the Elizabeth I, and for having prayed for the invaders. As usual at that time, the trial was a tirade against the prisoner, who was of course condemned. One example of the hypocrisy of the prosecution may be mentioned. 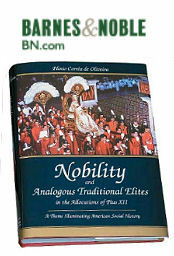 While they professed to quote the very words of the Bull of excommunication, “published 1 April”, no such Bull was published at all. If the Armada had been successful a Bull would of course have been issued, and Elizabeth’s spies had in fact got hold of an explanation written by Allen in preparation for that event (printed in Dodd-Tierney, iii Ap. 44). From a letter of Attorney-General Popham (R. O. 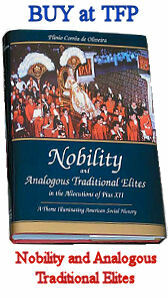 State Papers, Dom. Eliz., ccxxiii, 77) we see that he was aware of the fraudulent character of the evidence. Philip was left to die in prison. His last prayer to see his wife and only son, who had been born after his imprisonment, was refused except on condition of his coming to the Protestant Church, on which terms he might also go free. With this eloquent testimony to the goodness of his cause he expired, at the early age of thirty-eight, and was buried in the same grave in the Tower Church that had received his father and grandfather. 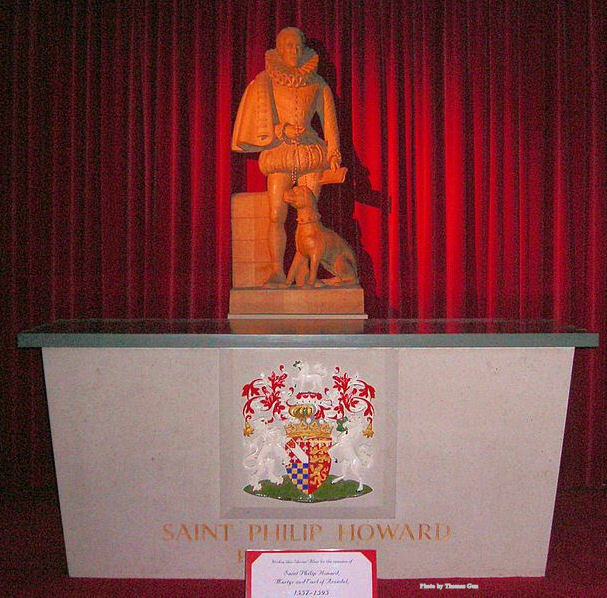 Saint Philip Howard was beatified 15 December, 1929, by Pope Pius XI, and canonized 25 October, 1970, by Pope Paul VI. 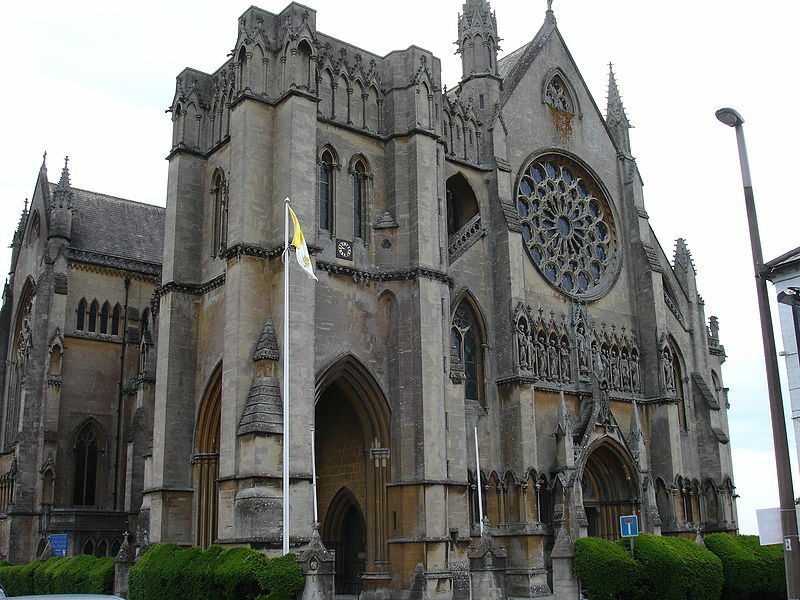 Arundel Cathedral in Sussex, England, where St. Philip Howard is buried.